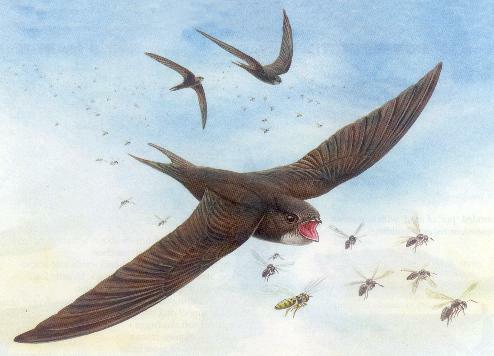 Burton Swift Bird Study Group: Burton Swifts - Thursday 21st June 2018 and week. 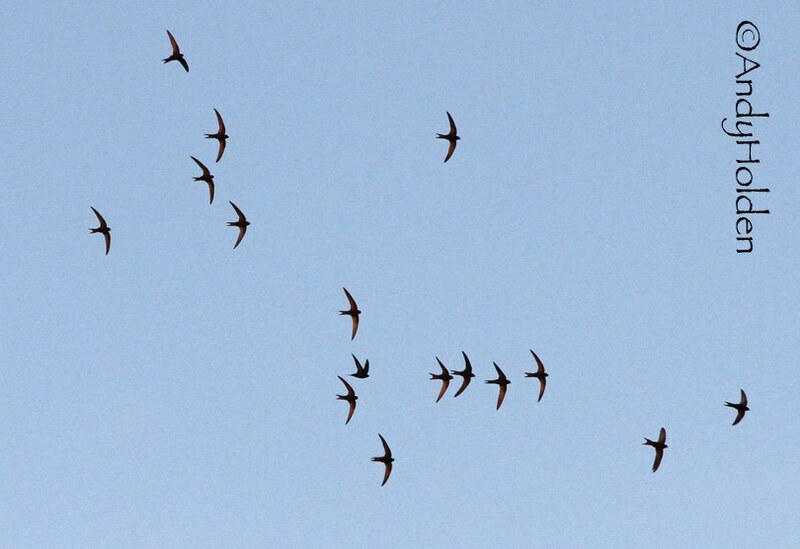 At least six Swifts constantly flying low within the square dimensional open cul-de-sac area of Glebe Close and every few minutes would be seen flying up to the eaves of the different properties as though trying to find nest sites or canvassing the area for a site or maybe for some other reason and without landing would immediately fly away and come back and repeat this behaviour on that or other nearby properties. This is the very first time I have seen them doing this here and carrying out this strange behaviour for such a prolonged period (approx one hour). I wonder what could have triggered this strange behaviour and especially why here on the modern build properties (1980s) which are all tightly rendered up to and between the rafter ends and have no open access for bird nest sites. I can only think perhaps that these are immature birds from maybe last year or the year before. I cannot understand why breeding birds would have the time and energy to want to participate in this. I have also seen a similar behaviour to this here before performed by House Martins, but this only ever lasted for ten minutes or so. Very little activity was seen tonight, we checked out the Post Office Cottages, Cocking Yard, the rear of the Royal and the Manor House. We had a total of ten birds seen in the skies along the full stretch of Main Street. We also watched one bird has it left the regular nest site at the Post Office cottages, and we also witnessed a bird enterting and leaving the nest site at the gable corner of the Manor House (ex Starling Hole!) It was clear skies and the opinion of the group were that most of the Swifts were feeding up at high altitude and escaping view. Tonights observers were: Reg Hesketh, Sue Miles and Bryan Yorke.